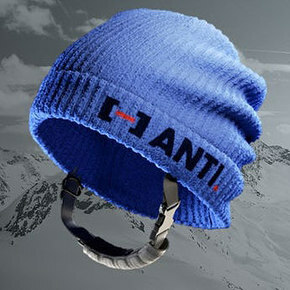 The ANTI Ordinary A1 beanie offers helmet-style protection in a soft, comfortable form. The ANTI Ordinary AI features a soft Merino wool lining and moisture-wicking, acrylic outer layer, with the company’s proprietary blend of non-Newtonian fluids located between. The particles making up non-Newtonian fluids remain soft and pliable at slow motions, but will become much harder the moment they are impacted. In the case of the AI beanie, the inner, non-Newtonian layer will become stiff enough upon impact to exceed safety standards, while remaining flexible enough to pack easily and fit the contours of the head.